Occasional readers of this blog may have noted that it's been relatively quiet here for the last month or so. There are at least a few good reasons for this: I've been mulling over some ideas for NaNoWriMo next month, as well having a long-form post about ecology in black metal well underway. But mainly it's because I've been unwell. Not with the confined-to-quarters flu, let alone anything serious, but a nagging, consistent lack of energy. I hoped that I would shake it off but it's finally forced me to spend the first half of this week resting. Lesson learned: I need to get better at recognizing my own limits and listen to those who care for me when they tell me to slow down. At any rate, the batteries are recharging again, thanks to enforced rest, so stand by for some more posts in the coming days. 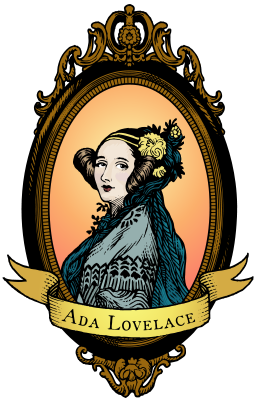 Happy Ada Lovelace Day today! And last, but by no means least, this news just in. Can's Yoo Doo Right is one of the greatest love songs of the twentieth century. Discuss.